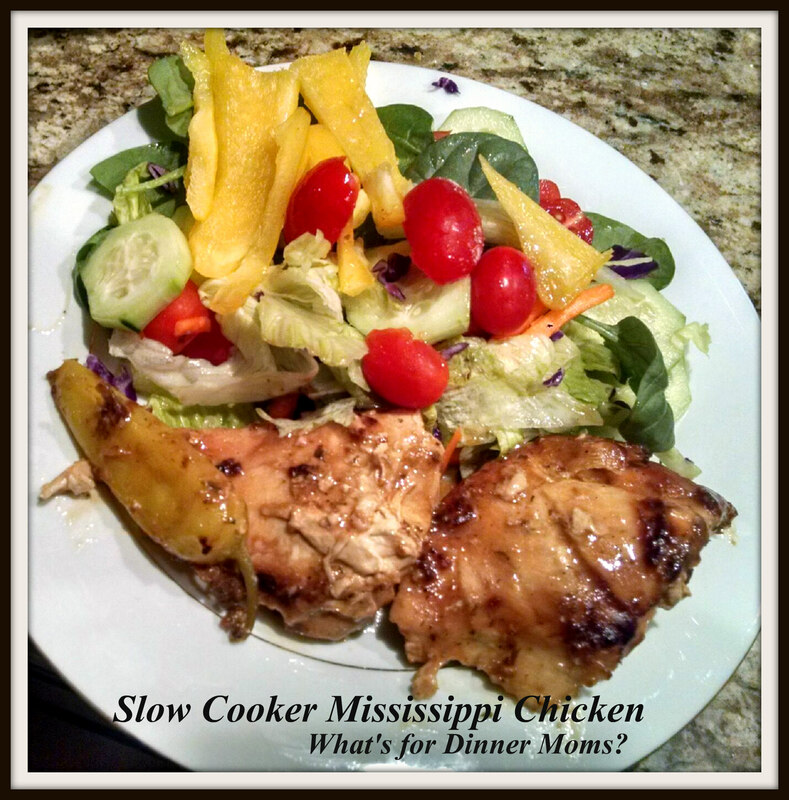 Slow Cooker Mississippi Chicken – What's for Dinner Moms? I didn’t even get one bite of the meal but everyone else was telling me they were sneaking bites from the slow cooker and they didn’t know if it was going to make it to the table. The one request I did have from two of my family members was to add more whole mild Peppercini peppers next time. I only added 6 not sure how they would feel about the peppers. I now know! Place chicken breasts in bottom of slow cooker. Sprinkle the contents of both packets over the chicken. Place the slices of butter over the top of the ranch dressing/gravy mix. Drop the Peppercini peppers into the slow cooker. Cook on low for 6 hours or until done. Do NOT over cook! Serve on rolls, over rice, potatoes or a salad! Thanks! It was she was being *smart*. With all the outside work we’re getting into building the duck house this is going to be a great meal that I don’t have to fuss over! Thanks so much! I was being conservative. Next time I won’t! Ook yumm will try this tomorrow!